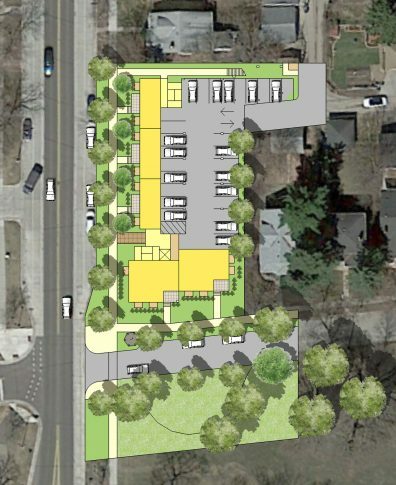 Located south of Downtown Minneapolis, this infill building site fronts Minnehaha Regional Park and occupies a prominent corner neighborhood gateway. Its location near the Metro Light Rail and proximity to the airport make this site valuable for developing higher-density housing in the neighborhood. 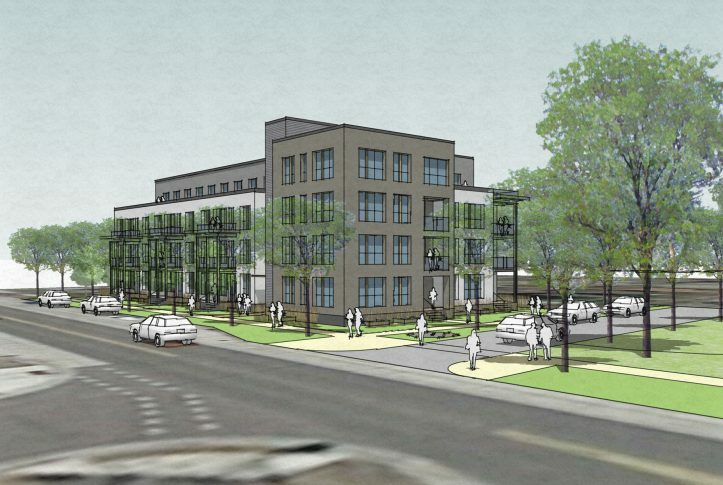 Together with Lander Group, VMWP created a concept for a new four-story building to accommodate Minneapolis’s growing housing demand. From the ground-floor townhouse units and generous fourth-floor penthouse units to the smaller one-bedroom and studio units, this building can accommodate both families and empty nesters. The building was carefully composed to evoke the 40’-lot widths typical of traditional Minneapolis neighborhoods. The perception of its bulk is reduced using a variety of stepbacks and materials. Overall, the building is sensitive to the traditional neighborhood fabric, but carries a distinguished modern appeal. The replacement of an adjacent existing cul-de-sac with a new intersection and crosswalk strengthens neighborhood connectivity along the park as well. New street connection along Minnehaha Regional Park. 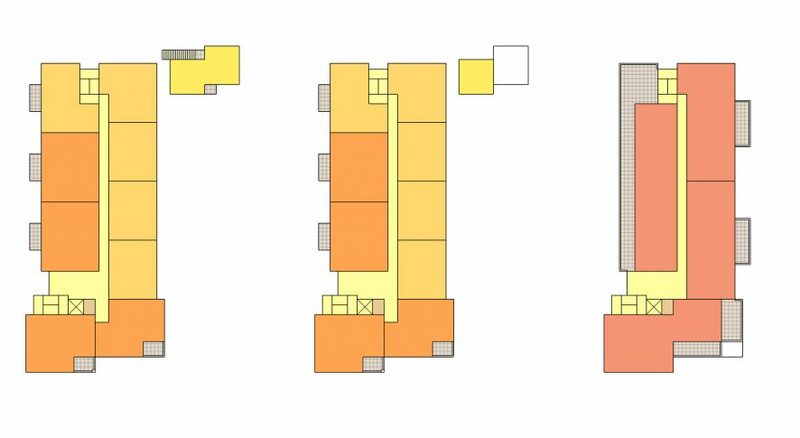 Two-story townhouse units at-grade and below-grade. Wide range of unit sizes from studio to 2br + den. 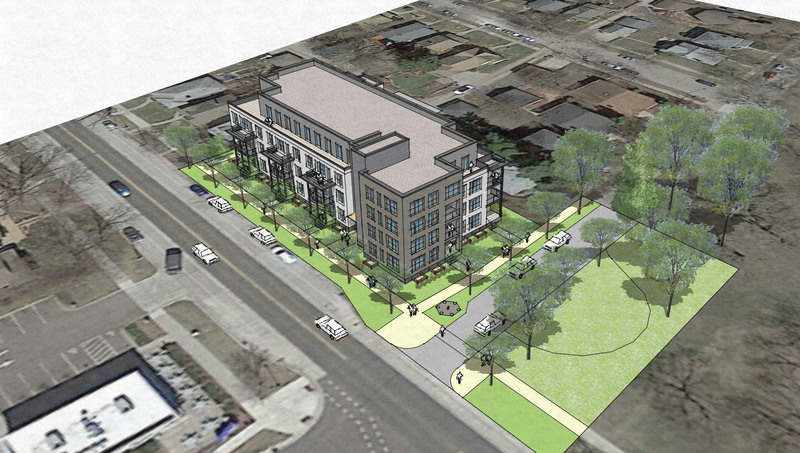 Carefully designed massing to fit within neighborhood context.